CHANGE OF VENUE FOR PARKLIFE! Doors open at 3pm! Still a Free Event! Join us and ministries like Project615, EndSlaveryTN, MorningAfterMinistries, SafeHaven and Thistlefarms for an afternoon of great music and community! Please share this with all your friends! 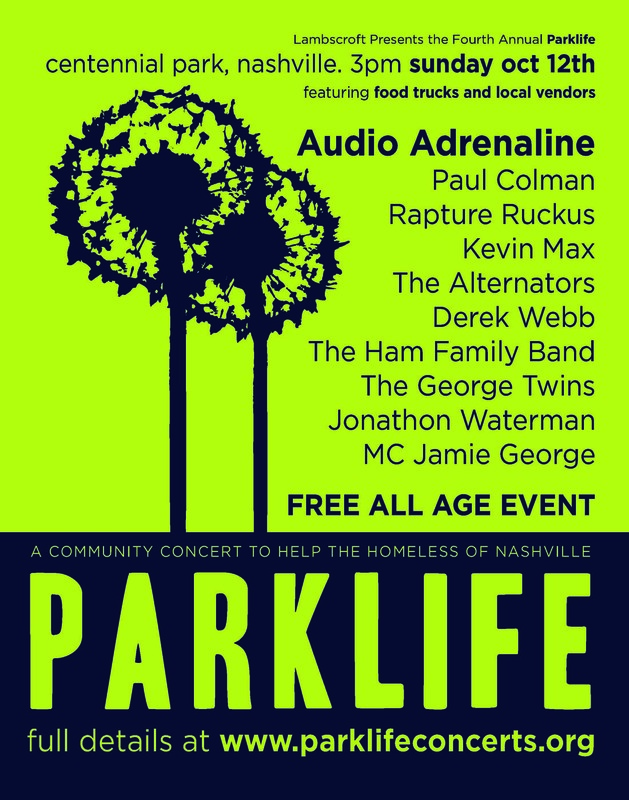 Join us for our Fourth Annual Parklife: A community concert to help the homeless of Nashville! 4. If you live out of town, visit your local shelters and serve! !